The March ICEC is the last exchange event of the school year but it was a lot of fun! All of the mothers who came brought interesting items to share. 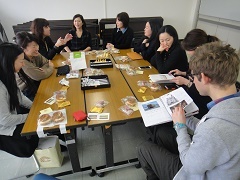 We were very impressed by everyone`s items and explanations. 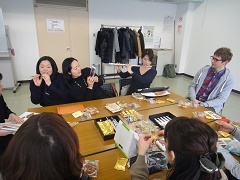 It was nice to enjoy some snacks many mothers shared while having conversations in English. We talked about hobbies, places we visited, and so much more. 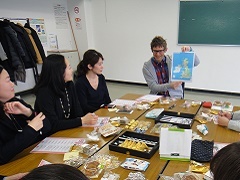 Mr. Chris provided a quiz about the United Kingdom and everyone knew so many of the answers. It was a great time and we look forward to more ICEC events next school year. Thank you for coming and see you again soon!